2017 has been a year of growth and improvement at Turtle Garage. Our subscriber base has surged and we are realizing an enormous increase in traffic. Over the last year, our developers have upgraded the site and added new features and functionality: a live automotive stock ticker feed, real-time industry headlines, and a curated online store. We have endeavored to provide diverse and relevant content to our burgeoning subscriber base. Next spring we will be entering the education market through the launch of Turtle Garage Academy, an online learning center focused on interactive classes centered around the history and the future of the automobile. In early 2018, we will be hosting our first online course and it promises to be an unconventional educational experience. Initially, enrollment we will be limited—we will only be accepting 25 subscribers on a first come, first served basis. Turtle Garage hit the road in 2017. In March, we attended Miles Collier’s Revs Institute symposium (which just might be the ultimate collector car event on the planet). 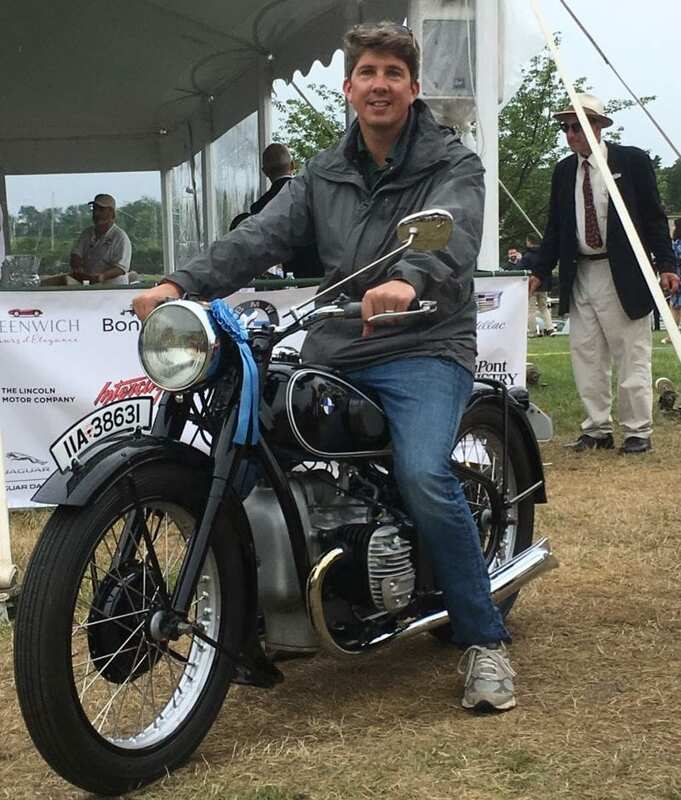 In June Turtle Garage’s 1937 BMW R6 motorcycle took home the blue at the Greenwich Concours. Over the summer we visited Argentina and put a 1998 Toyota Land Cruiser to the test. In late August, Turtle Garage was honored at Lime Rock Park and named Motorcycle Collector of the Year. It was an honor and we shared the podium with legendary collector and Petersen Museum board member Bruce Meyer. The highlight of the year was the inaugural Turtle Garage Invitational, a spectacular car show held at Turtle Garage. The event benefitted the Pray Achievement Center and was a smash success. The Turtle Invitational will be held every other year, with the next event scheduled for September 2019. 2017 was a landmark year in the automobile industry— the public became aware of the high-speed collision between automobiles and various emerging technologies. Suddenly, the world realized that autonomous vehicles might be less than thirty years away—possibly way sooner. The social, political, and economic impact of the driverless car is profound and hard to imagine—let alone predict. The confluence of ride-hailing, electric vehicles, and autonomous technologies is suddenly converging. During the course of 2017, a totally new automobile future emerged in the minds of investors, consumers, politicians, and the media. In March, Intel bought Mobileye—an Israel-based leader in autonomous technologies. Over the year, Uber became a verb and dominated the “transportation as a service” model and upended the way we all think about getting from here to there. Uber’s competitor, Lyft, received a $500 million investment from General Motors. This fall, Tesla announced a powerful and functional electric semi truck. The investing community took notice of these many announcements and trends, and share prices began to move. 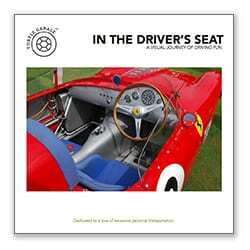 The media took a renewed interest in the future of the automobile and started to ask interesting questions. Will we drive electric cars ten years from now? Will private car ownership give way to ride sharing and ride-hailing? What will become of the car dealership? How will insurance companies be impacted? What will be the impact on the commercial real estate market? These are but a small handful of the big questions that the coming changes in the automobile industry have us all asking. Over the next twenty years, “Creative Destruction” will radically transform transportation. Akin to the early 1900’s and the chaotic birth of the car, vast fortunes will be made and lost in the years ahead. The Big Three will likely find that their toughest competitors will no longer come from Germany and Japan, but rather from cash-rich and innovation savvy Silicon Valley. In 2017 Turtle Garage completed “Project CJ.” This twelve-month saga was a meticulous factory correct restoration of our original 35,000-mile rust-free 1984 Jeep CJ from Texas. During the course of the year, Turtle Garage was lucky enough to acquire an ultra-rare numbers matching 1936 BMW R5. In September we finally took delivery of the totally original 1938 BMW R51 that Vintage German Motorcycles had been working on for months. The totally original motorcycle is a true artifact of history and was proudly on display at Lime Rock Park in September. In late November, Turtle Garage acquired a numbers matching 1938 BMW R61. The bike was sold new in the Netherlands and is currently on its way to the United States. During the year, our partnership and association with Keith Martin’s Sports Car Market continued to blossom. As a bonus, Turtle Garage subscribers now enjoy a discounted rate to the industry authority of the collector car market. In 2017, Turtle Garage also entered into a joint venture with Mark Greene’s Cars Yeah. Cars Yeah is a platform that has almost one thousand thoughtful podcast interviews of influential car people. You can now access Mark’s database of interviews via Turtle Garage. Throughout the year, Turtle Garage partnered with select contributors which helped provide unique content. In the New Year, we plan on carefully adding more guest contributors. Please reach out if you enjoy writing and share our passion. It has been a busy and fulfilling year! We continue to look for ways to innovate and improve the Turtle Garage user experience. Please send your suggestions—we welcome your feedback! Wishing you and your family a joyous holiday season. 1936 BMW R5 is acquired by Turtle Garage and shipped to Los Angeles for restoration at Vintage German Motorcycles. Turtle Garage profiles a Cuban Buick legend: The Galleon. A retrospective of building Turtle Garage with photos of the evolution. Bob Lutz says cars are over! Stanford’s Tony Seba gives us a glimpse of the future of automobiles.